Credit score comprises of a three digit numeric value which signifies the creditworthiness of a particular individual. The range of creditworthiness starts from 300 to 900 with 300 being the least and 900 being the highest. A Credit score is computed after the credit history of an individual is assessed. Most financial institutions and banks prefer offering credit to a person who has scored 750 and above. This comes with the belief that an individual with a good credit score is less likely to default on their loan repayments. In this article, we look at the various aspects of a credit score in detail. A credit score is the statistical analysis of a person’s past credit dealing and represents his or her credit discipline. The credit score is assessed based on the transactions in credit products like home loans, auto loans, credit cards, personal loans and overdrafts. Credit scores can be generated by credit institutions and even by self. The RBI has made it obligatory for all Credit Information Companies (CICs) in the country to give a Free Full Credit Report (FFCR) without any charge, on request, to individuals whose credit history is available once a calendar year. A credit score is a review of a user’s credit report, and through advances, analytics turns the data into a 3-digit number representing the amount of risk the individual brings to a particular transaction. Credit score values range from 300 to 900. Defaults on previous credit transactions. In India, CIC’s are known to include high utilisation of credit limit (especially for credit cards) and the borrower having a more significant percentage of unsecured loans (like credit cards/ personal loans) in the loan portfolio towards estimating the credit score. A key benefit of credit scoring is the CIC’s ability to establish a quantifiable scope of risk which is otherwise a highly subjective process. A numeric value on credit discipline of a person is beneficial for taking credit decisions. The following points are essential in maintaining an individual’s credit score effectively. Effective credit utilisation is a significant step in an individual’s credit score. If a person’s safe limit is INR 10,000 and only used INR 5,000, then the person is considered a very reliable customer. If a person’s safe limit is INR 10,000 and uses it entirely, and seeks further credit, then the person would be over lagging themselves, and their score could take a hit. Unnecessary and frequent shopping expenses for credit or too many new accounts can be considered as a sign of being over-hungry for loans and have a negative impact on the score. A person’s due on the past accounts are taken into consideration. This would include by how many days and by how much the person has defaulted. The fewer, the better the score. Here, the age of your lines of credit and their type is taken into account. If a person has a good mix and is consistent with repayment of various kinds, the person’s credit score will improve considerably. Whether a score is good or not would depend on the bank’s internal policy, its customer profile and its risk appetite. Some banks may perceive 700 as a decent score and another may not. Therefore, in India, different banks will rank different scores as good. Still, any score over 700 may be considered good by banks. However, a credit score is only an indicative tool for managing risks, and its effectiveness depends on the internal control mechanism of the bank in question. An objective thing such as credit score will not only help a bank to reduce defaults but also make loan disbursing much faster, improve operational efficiency and brings costs down. A good credit score will indicate the character of the borrower concerning financial matters. The following are some indicators of a good score. If the borrower has defaulted payments once or twice due to reasons beyond their control, those will show up as clear aberrations in overall consistent payment history. The longer the credit history, the better. The lender’s assessment presumable improves as he gets more significant spans of repayment. One should be cautious about closing old accounts and opening new ones. It helps in analysing one’s right financial standing and make plans for future finances. One can be on top of their borrowing and avoid debt traps. With a Credit Information Report in hand, he or she will be in an excellent position to make decisions concerning availing new forms of credit, while also being able to extract the best possible rates from banks or lenders. It helps in cultivating financial discipline. On time loan EMI payments. Regular payments of credit card bills. Completely paying off credit card bills rather than paying a minimum due amount always. Multiple forms of credit (such as unsecured personal loans) among family member. Proper utilisation of approved credit limit. Ensuring banks and other financial institutions with a record and submit positive information to CIC’s. Requesting to maintain a copy personally rather than through financial institutions. Multiple credit report enquiries by banks and institutions. Defaulting on credit card bills/ late payments or consistent part payments. Too many unsecured credits such as multiple personal loans. Multiple applications for unsecured loan getting rejected. High utilisation of approved credit limit or overshooting the limit. Error in records by banks and other financial institutions. Easy availability of credit like loans. According to CIBIL, about 90% of loan applicants with CIBIL score higher than 700 are approved for loans. Efficient processing of loan and credit card applications. Ability to negotiate interest rates, owing to a person’s strong financial standing. Though not guaranteed, the possibility of negotiating or waiving processing fees as well as choosing prepayment options. 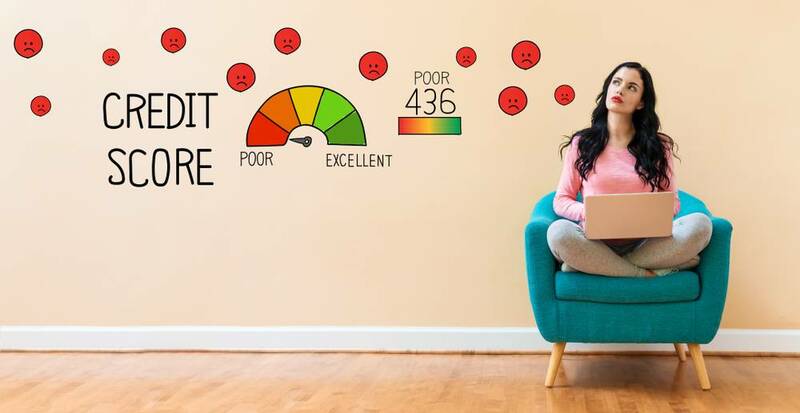 Credit scoring is an enabler for banks to take a call on the risk assessment based on the score and accordingly decide at a price for the risk. It also enables the banks to speed up credit decisions and disbursement based on the score. With a credit information report in place, responsible customers can expect faster and more competitive services at better terms and rates from banks and other credit companies. Based on the information available with CICs, they issue reports. However, a person can access their credit reports directly as well by putting in a request to CIC. One can then go through their report, and if any errors are found, they can notify the bank and CIC regarding the same. It is but natural that errors may occur in the credit scoring process due to various factors and if one does not step to correct it, their credit score would be arrived wrongly and will be a detriment when they need a retail loan or a credit card. The common mistakes in credit scoring which affects the score are given below. Confusion of Names: There can be millions of names that are similar in the CIC’s database. Things can go haywire if a person identical to another’s has defaulted, and all their defaults get recorded to the other person’s file. Human Input Error: The data that goes from the banks to the CIC on a default may have been erroneous due to simple input error by one of the bank employees. Identity Theft: This is one of the most serious of all causes of errors and can have a disastrous impact on an individual’s credit profile. Nowadays, identity thefts are on the rise. Right from a petty shopkeeper who swipes a card several times to sneak in an unofficial payment or track credit card details, which they can exploit, to a terrorist who wants to gain access to a billionaire’s account from a remote corner of the world, identity theft has become a serious crime that needs a check.